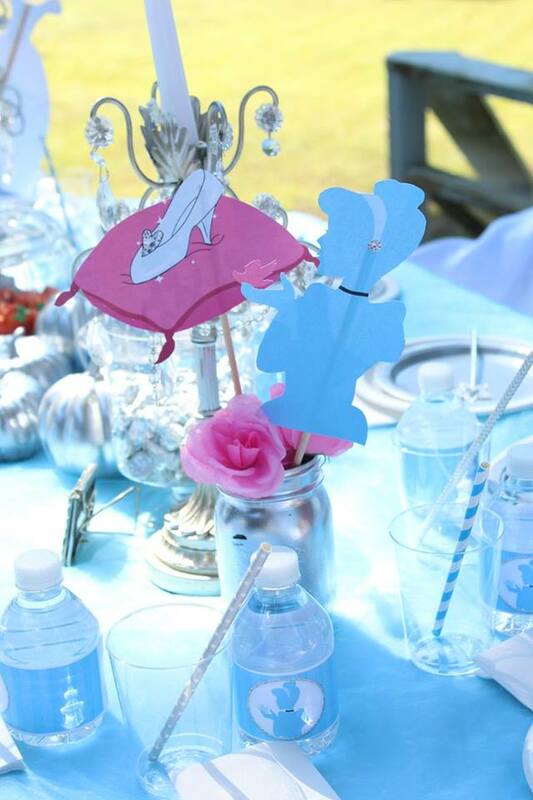 Throwing a Cinderella birthday party? 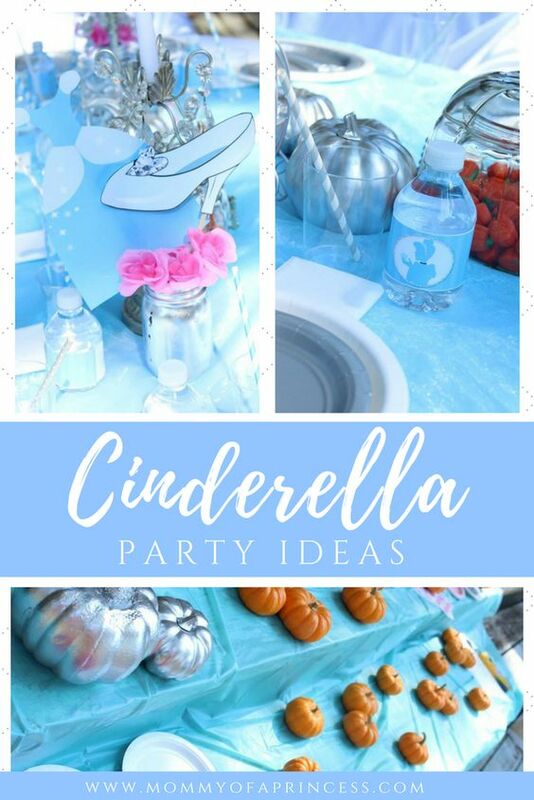 Check out these fun princess party ideas below and don’t forget to download the free party printables at the bottom of the post. Cinderella has always been one of my favorite fairy tales. With courage, kindness, and hard work, this heroine proves that good people don’t always finish last and that a pair of new shoes can sometimes be life changing. 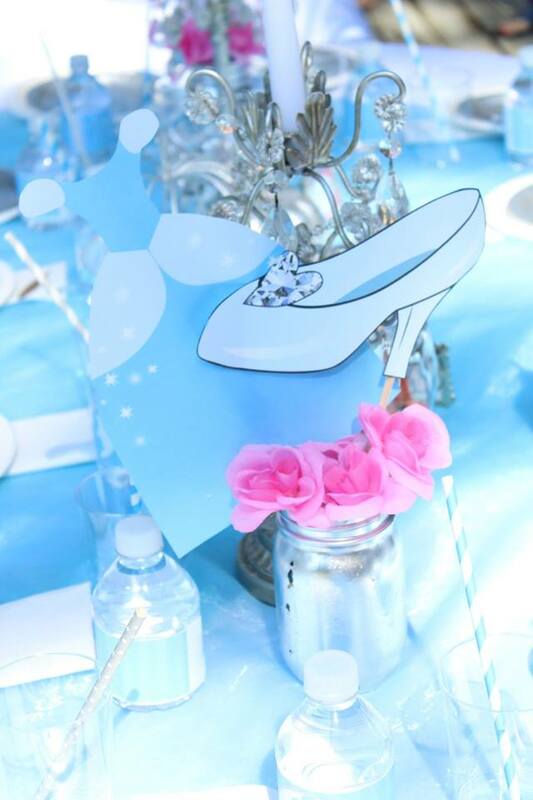 If you’re planning a Cinderella Birthday Party for your daughter, here’s a few tips and ideas to inspire you. Don’t forget to sign up to download the printables at the bottom of the post. Or pin this post to save for later. There are tons of options when selecting your color scheme. Of course, Cinderella’s dress is blue so using blue as the main color is ideal. It’s fun to pair the blue with a sparkly silver, gold and pink. Just like Cinderella’s shoes, your party should have lots of sparkle! 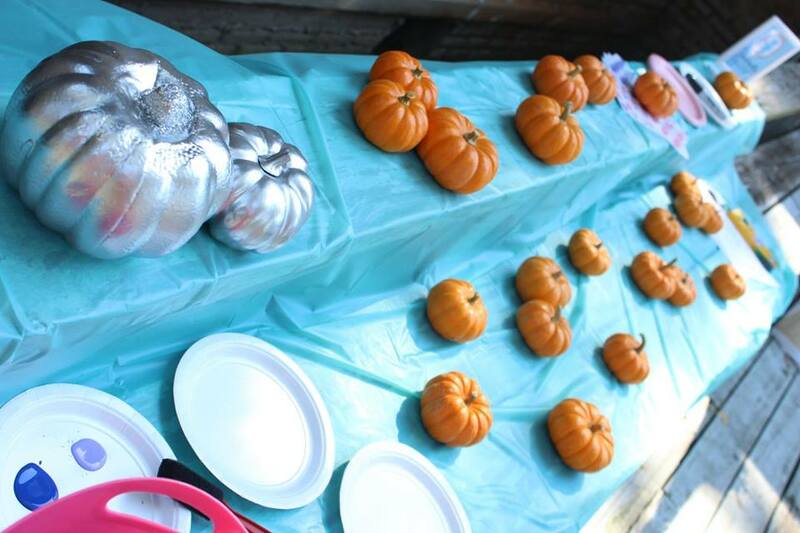 Add in pops of sparkle by spray painting Dollar Tree pumpkins or try a silver sequin runner. 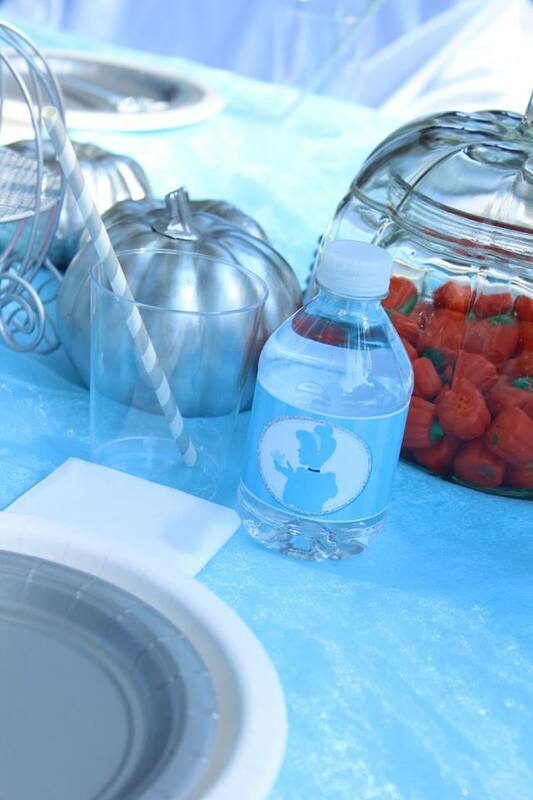 The secret to a perfect party is all in the details. 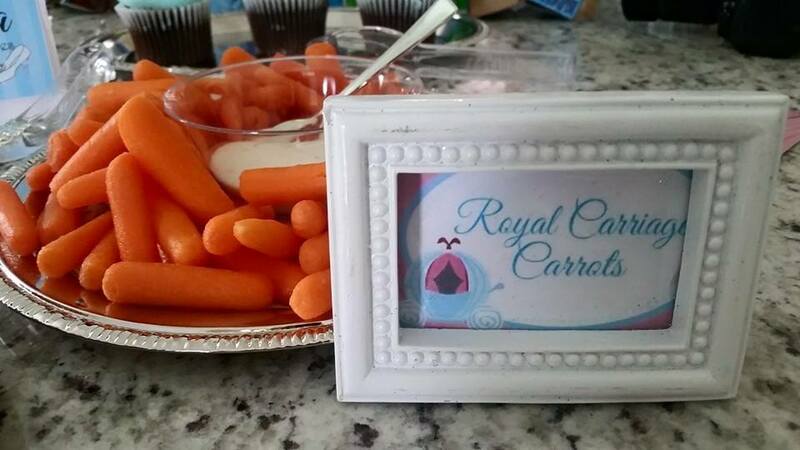 Creating cute names for your food is an awesome way to add a magical touch to the party! 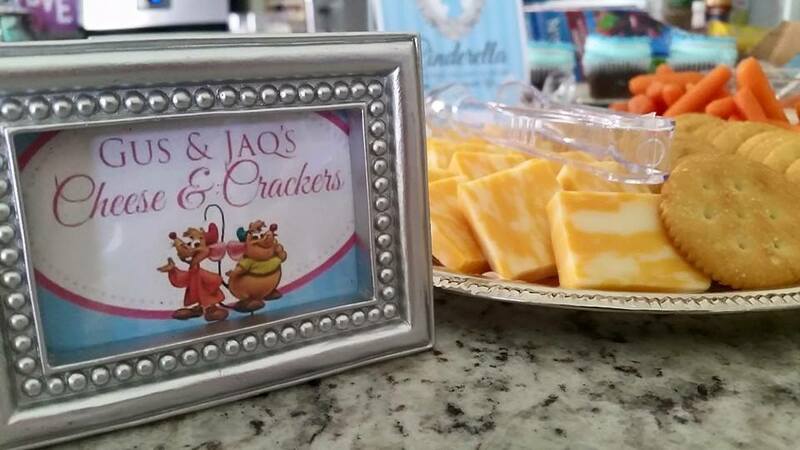 Try Fairy Godmother Fruit Slices, Jaq and Gus Cheese Cubes and Crackers, Cinderella Carriages (made from peeled Mandarin Oranges) or Midnight Kisses (Hershey Kisses). Like any good princess party, your guests should feel like their getting ready for a royal ball. Set up princess prep stations for nails, hair and make-up. I love the plastic comb in tiaras from the party section at Hobby Lobby as fun take home favors. Don’t forget to sprinkle in a little loose glitter for an added magical touch. You could purchase make-up and nail polish from the Dollar Tree and have it double as a favor too! 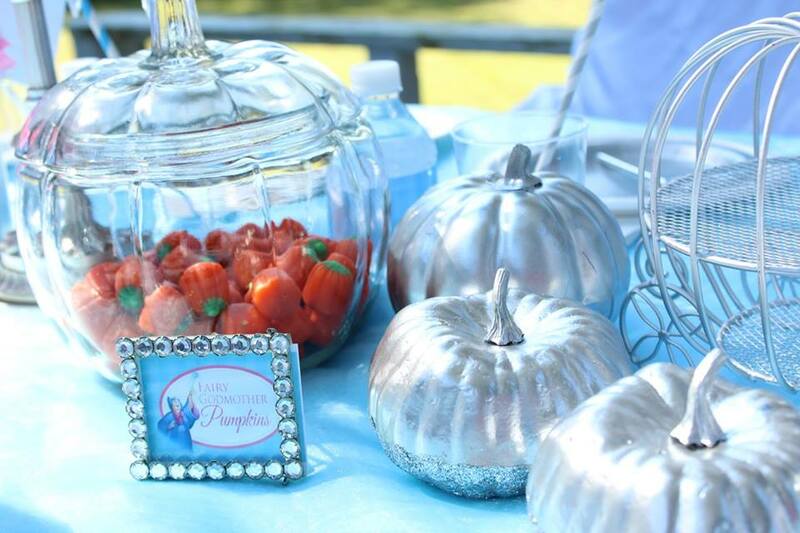 It’s not a true Cinderella party without pumpkins. If they’re in season, have a pumpkin decorating station for guests to create their own masterpiece. I love the mini pumpkins from Publix or a local pumpkin stand. Stay away from paint (too messy) but use markers and stickers instead. If pumpkins are not in season, opt for a pumpkin foam craft (like this one) to still incorporate the pumpkin theme. Answer the questions and once approved, you’ll be granted access. Click on “files” to see all free printables. If you DO NOT have a Facebook, you can subscribe to my mailing list below. Once you have submitted your info, you will receive an EMAIL to confirm your SUBSCRIPTION. After confirming your email you will receive a link to download the files, as well as login information to access my full FREE Printable Library. If you do NOT receive an email in your inbox, PLEASE CHECK YOUR SPAM! 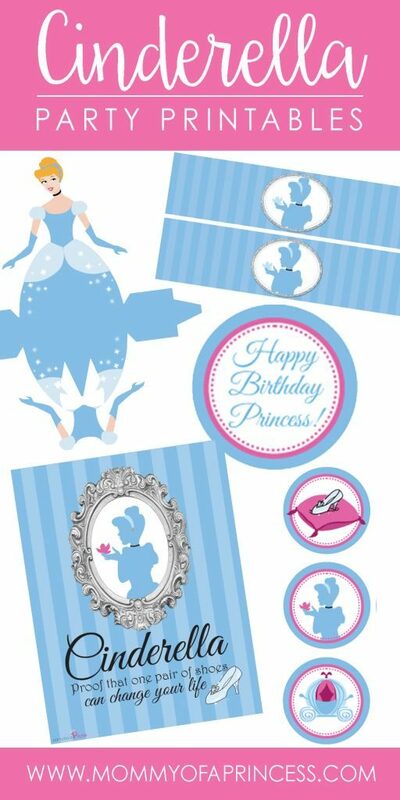 By subscribing above, you’ll gain access to our 8×10″ Cinderella Printable, Circle Cupcake Decal Printable, Favor Box Printable and Cinderella Water Bottle Labels.